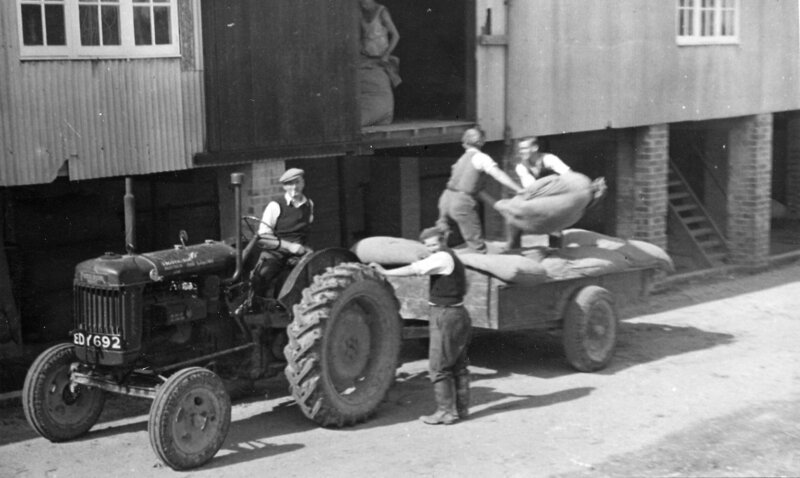 This photo shows the hop pokes being loaded on to the trailer ready for transporting to the oast. Here the pokes are being unloaded at the oast. 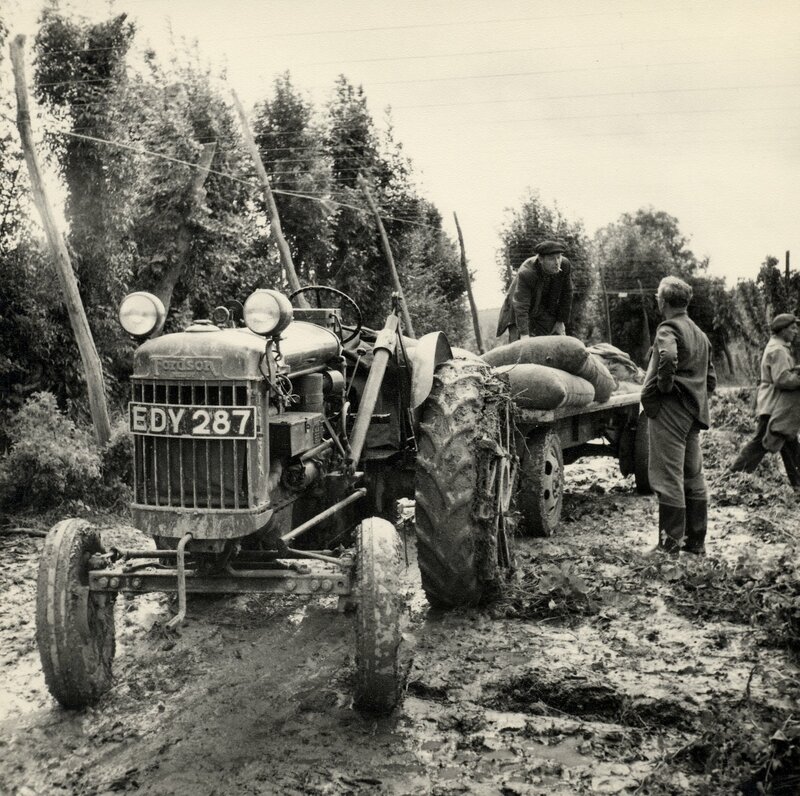 This looks like it could be the oast at Ockham that was later used as tractor sheds.